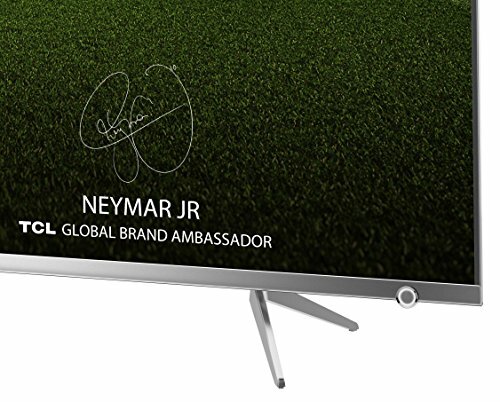 While TCL is a global giant when it comes to panel manufacture and its TVs are well-regarded in other markets, particularly the US, it has been slow to make an entry to the UK, only arriving this Summer. The 55DP648 reviewed here is part of its first wave of sets – a 55in 4K model with a price tag. Can it do enough to help the Chinese brand get off to a flying start? Some of its features suggest it might. For instance, it uses a VA-type panel, rather than an IPS one often seen on low-cost flat screens. VA panels generally deliver significantly better contrast than IPS rivals – although the latter provide a wider effective viewing angle. 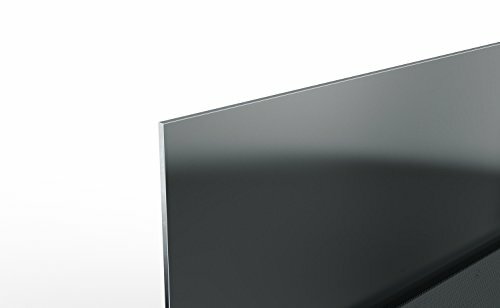 TCL also claims the TV’s colour handling reaches 95% of the DCI-P3 colour space. 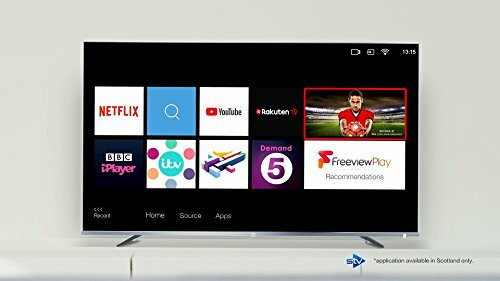 Its native 4K pixel count is also joined by HDR support, in both HDR10 and HLG flavours, and the set offers Freeview Play integration (providing access to all of the UK’s main terrestrial broadcasting catch-up services), as well as Netflix in both 4K and HDR, and YouTube. Yet there are also some things that those with knowledge of TCL’s US models might be looking for that are missing. One concerns its panel illumination. 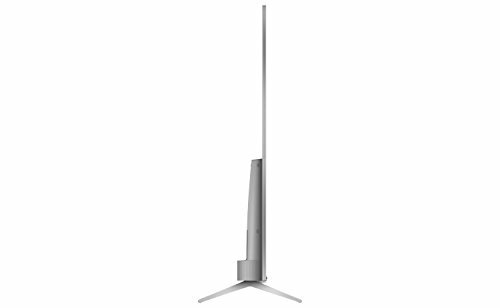 The 55DP648 uses edge LED lighting rather than a direct LED array, and there’s no local dimming; the TV can only dim all of its LEDs uniformly based on an ongoing analysis of the picture it’s showing. This approach seems likely to struggle to deliver contrast as good as those of TCL’s predominantly direct-lit American models (which also add Dolby Vision HDR to the feature roster). And there’s more disappointment when you start exploring the 55DP648’s smart menus. These look basic and somewhat out-dated, with no trace of either the Roku platform TCL uses in the US, or the Android system it employs elsewhere in Europe (although to be honest, not having Android is no great loss…). Amazon Prime Video was AWOL at the time of writing, too, as was Rakuten TV and Now TV. 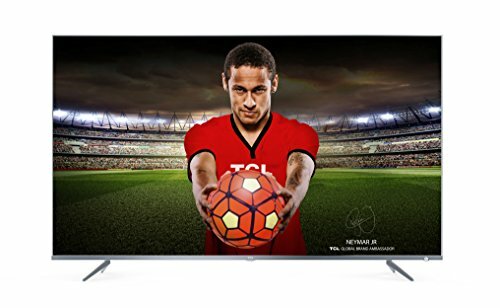 For an affordable large screen TV, the 55DP648 is attractive. Its bodywork is startlingly thin, both at the back and around the screen. Its gleaming metallic finish is also a cut above the budget norm. In fact, the only real exterior hint at the 55DP648’s budget nature is its provision of just two USB ports and three HDMI inputs, when most 4K TVs these days muster three and four respectively. The 55DP648 provides precious few picture settings to play with. Just remember that Movie mode gives the brightest HDR picture, while the Natural preset sacrifices a little brightness to provide a less intense colour palette. The Dynamic setting you’d normally expect to deliver the most punchy picture takes the average brightness level of HDR content too low, as it tries to provide the appearance of a wider light range between the darkest and lightest parts of the image. And this facet of the Dynamic mode gives an early warning as to the 55DP648’s biggest picture quality limitation: its lack of brightness. In fact, at best it only measured 297 nits when showing a 10 percent white HDR window, which is only marginally above the sort of light level needed to show SDR material. Hardly surprising, then, that the set doesn’t do much justice to high dynamic range movies. There’s only a marginal increase in even the brightness of small light peaks when you switch between SDR and HDR sources, and even less increase in average brightness levels. In fact, the need to offer an expanded light range when you’ve got such limited peak brightness to play with can result in HDR pictures often looking less bright than SDR counterparts. Fallen Kingdom on 4K Blu-ray highlight this problem well, sometimes looking less intense overall on the 55DP648 than they do if you watch the SDR Blu-ray. Fallen Kingdom appear here slightly grey, rather than inky black as they should. This is especially noticeable when the darkness has to share the screen with something bright, such as the film’s glowing title, or artificial lighting. This opening scene also finds corners of the picture unnaturally brighter than the rest of the image, as the TCL’s edge LED system fails to distribute its light evenly. These average black levels and brightness inevitably restrict the sort of colour volume (brightness applied to colour) the 55DP648 can produce, despite its wide colour panel design. The expanded colour spectrums are part of the attraction of most HDR sources, and in this regard the TV fails to dazzle. Fallen Kingdom 4K Blu-ray picture as successfully as more expensive TVs. Okay, so the 55DP648 hasn’t exactly blown me away so far. Fortunately, though, it becomes much more interesting if you think of it as just a budget standard dynamic range 4K TV, suited to your Blu-ray collection and broadcast sources. Switching to the Full HD (and SDR) Blu-ray of …Fallen Kingdom, the set’s black levels immediately look much more consistently convincing, actually outperforming many budget rivals. Colours are reasonably rich and balanced, and the picture no longer feels uncomfortably dark, even if it certainly never looks particularly bright. Colour blends and skin tones are free of banding and blocking noise, and the overall viewing experience is agreeable – consider the size of the TV and the meagre asking price, and the appeal grows even more. Fallen Kingdom Blu-ray pretty well. There’s a clear increase in detail and sharpness, without TCL’s upscaling processing exaggerating source noise. Another palpable mark in the plus column comes from the TV’s input lag, which I measured at just 10ms when the Game mode was selected. This humbles pretty much any other TV available, including premium models, and makes for a responsive gaming session – although, of course, while its image lag might be imperceptible, game graphics miss the visual impact provided by other brighter, crisper displays. underpowered, and the sound feels congested and muted. Dinosaur feet pounding the earth in …Fallen Kingdom aren’t conveyed with scale or terror, and there’s no force behind supposedly punchy sounds like gunshots and explosions. Dialogue is reasonably clear and believable, at least but with streamed sources I had noticeable lip-sync issues that made them all but unwatchable. The set does provide an audio delay system, but this wasn’t able to fix the problem. The final judgement, then, is the 55DP648 performs well in some areas, but falls short in others. 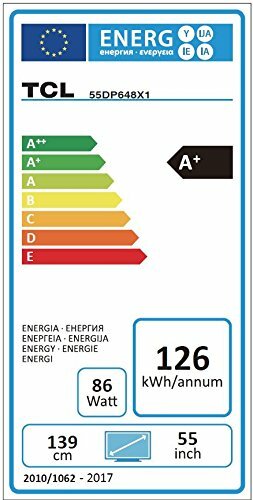 Its major selling point is its price/size ratio, rather than its smart TV system or 4K HDR performance, and other brands are muscling in on this area too; you can pick up Philips’ superior (in every way) 55PUS6753 for £ more than the 55DP648, for instance. While this 55-incher isn't bright enough for immersive HDR playback and deploys a very basic smart system, it's still a solid SDR 4K option for its money. 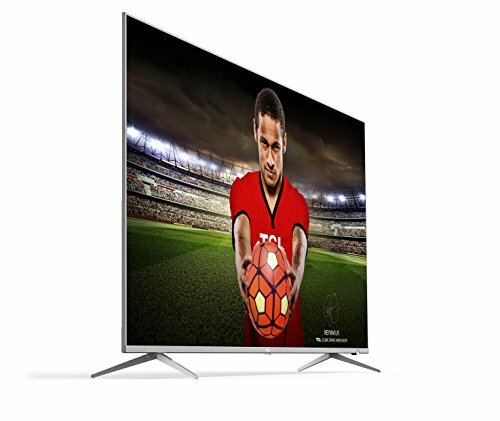 2 Year Warranty: Provides ONSITE HOME Repair for all 43"+ TCL UK TV's. 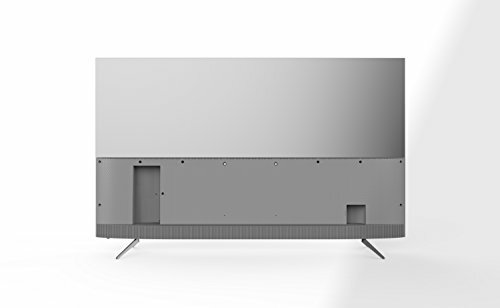 JBL BAR STUDIO: This soundbar’s ticket means it’s not quite budget territory – and the reward is a cracking performance, with a tangible bass delivery and a virtual surround mode that widens the soundfield. Includes HDMI ARC.